The UWP kanban board provides an efficient interface to track and visualize different stages in a task or workflow. It offers a wide range of customizations like template support for cards and headers, built-in error bars, and card drag and drop. The UWP Kanban Board provides an efficient way to visualize different stages of a workflow by organizing the work into columns. Defines the custom workflow for each process, which specifies the valid transition of every process. Swim lanes are a horizontal categorization that allow you to categorize your current workflow by different projects, teams, users, or whatever the user needs. 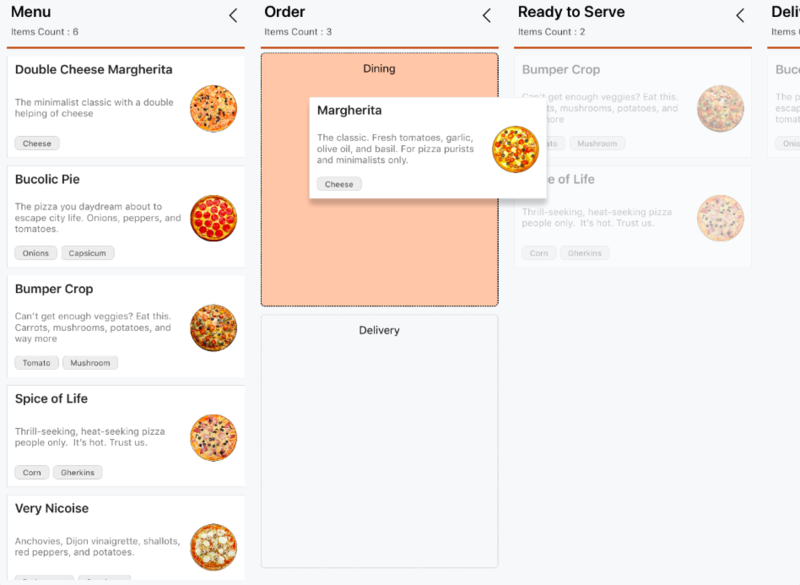 Kanban board supports interactively dragging and dropping an item between columns, and expanding and collapsing the columns with smooth, built-in animations. Each UI element of the kanban board can be customized. Header customization - Users can alter existing header content or include new information about a column by customizing the column headers with templates. Card customization - Customize the card template to add more details or change its default appearance. Style for placeholders - Users can customize the appearance of placeholders that are displayed while dragging. Interactive events - Behaviors and UI can be customized dynamically during interactions like tapping, dragging, and dropping cards.